Don&apos;t you just love a crafty mom? We found the cutest knit caps. I&apos;m always impressed with anyone who can create fashion out of needles and yarn so I wanted to find out more about the mom behind t.knits hats. Owner/designer Tobi Spino used to work in the modeling world--so it&apos;s now wonder that she has great style. 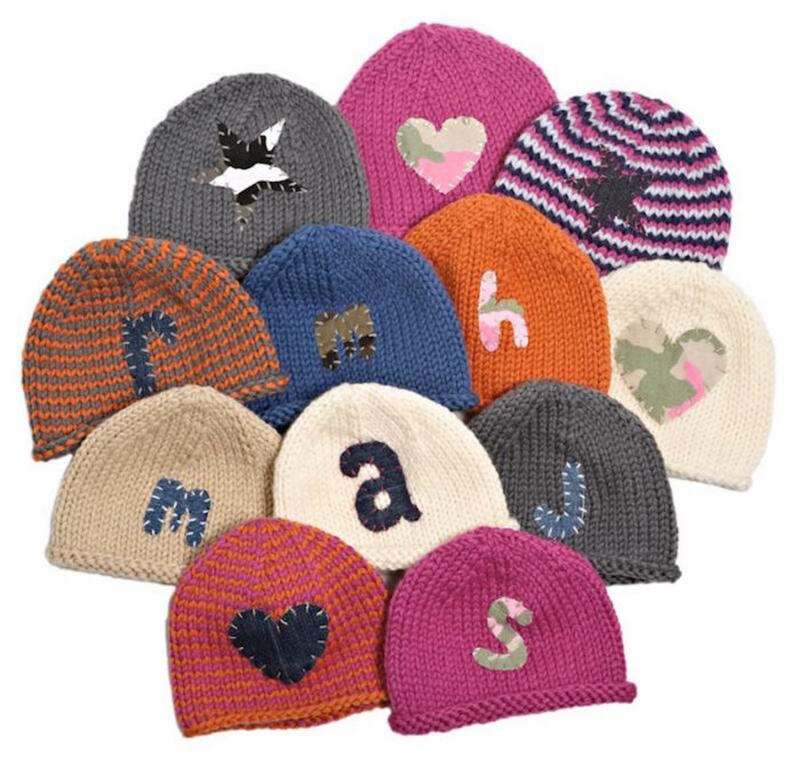 The brand launched when Tobi&apos;s customized hand knit hats became a popular accessory for many of the models at work. This industrious mom decided to go into business for herself. All the hats Tobi makes can be custom ordered--you can pick the colors and pattern and she will get to work. What a great gift idea! Contact her at www.tknits.com for pricing and order details. I had knit a bunch of hats for my son and whenever he wore them people kept asking where I got them and if I could make them one, so I thought, hey, why not turn my hobby into a business! I can&apos;t honestly say! I make them all by hand, so I feel an attachment to every design! But if I HAD to choose....I would say the letters! They are the original concept. What do you love about your neighborhood/working from home in NYC? We live on the UES and we love it here! It is so close to the park and there are so many families and kids. I love taking my son to Central Park where he can run and crawl in the grass, and chase the dogs. He is a dog lover, so we know that it is inevitable that a four legged friend will be in our future!I love working from home and being a part of my son&apos;s everyday life. I haven&apos;t worked in an office setting in 5 years, and cant imagine going back. I love being in control of my time and my schedule, and being able to make time during the day to take my son to a class, for a walk, or just be able to give him his lunch. I also love cooking, and working from home allows me to have the luxury of cooking dinner for my family! I think my husband loves that part the most, since he is the guinea pig for all my recipes! I am definitely a denim girl! Jeans are my staple. I love to dress them up with flirty tops, blazers, and heels...or dress them down with cool tees and flip flops or flats. I am also a sucker for cute summer dresses! I love how easy they are and I can get ready and out the door in about 20 minutes! I used to spend a lot of time getting ready to go out, but as most moms know, your free time is precious and limited! Definitely the personalized letters, followed by the heart!